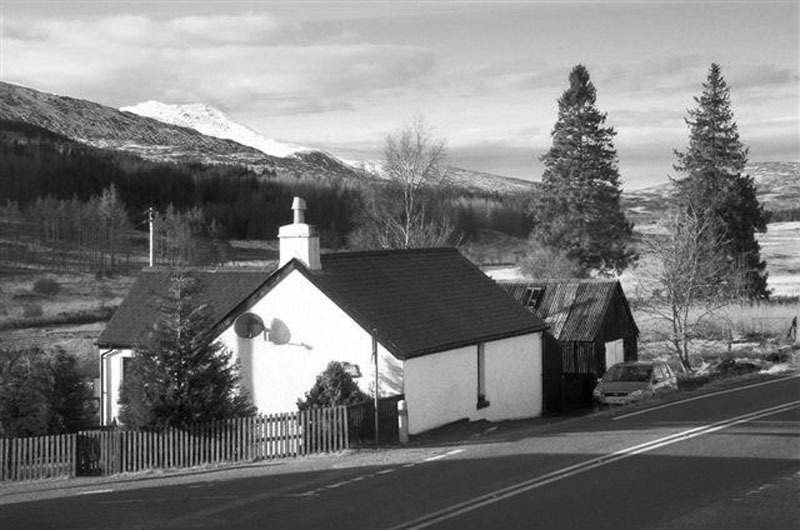 Stance cottage is situated on the old drovers route from Fort William to the south. 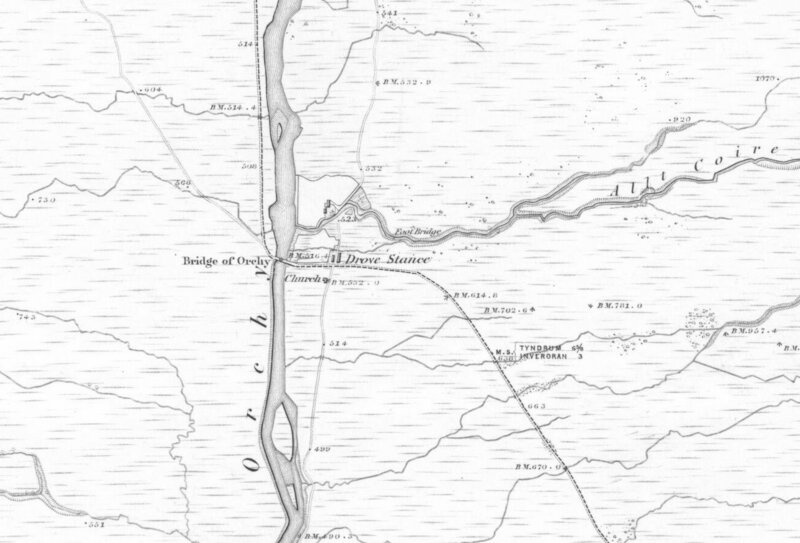 The drovers would stop in Bridge of Orchy and pay to ‘stance’ their cattle/sheep in the stance below the cottage. Over the last 150 years a shed or barn has continuously stood beside the cottage. These have been demolished and re-constructed several times since the cottage was built, and each have been used for many different functions, including the storage of hay and livestock. In recent years it’s been used as a store by the roads department, home to a classic car enthusiast and a training space for a local boxer. The existing shed was not only beautiful but contained an interesting narrative about the history of the site. It was decided that the story and tradition of the shed should continue to evolve. The new extension would be designed within the existing footprint of the shed, and emulate its size and proportions, however this time it’s use was to be a contemporary extension to the cottage. 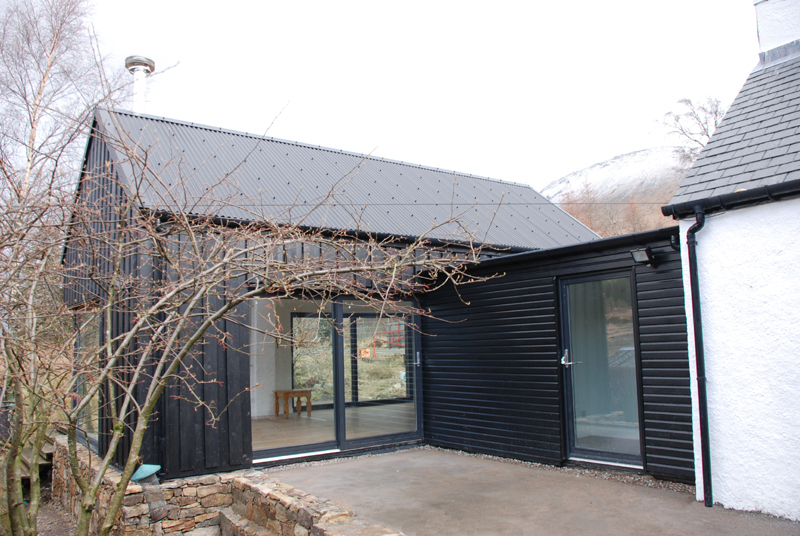 The extension consisted of a horizontal clad connection – which contains the lobby, bathroom and kitchen – and the main shed form containing an open plan dining and living space – open to the apex – with a corner window over looking the River Orchy. 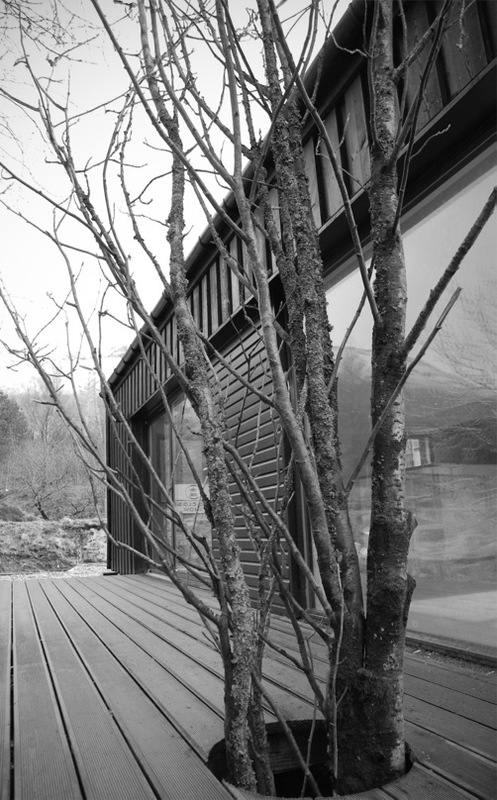 Large glazed sliders open the living spaces up to the north, towards Glencoe and a Lone Rowan tree grows through the larch deck – kept due to the client’s superstitions. The extension is timber frame construction, clad in both horizontal and vertical Scottish Larch, which was oiled black. 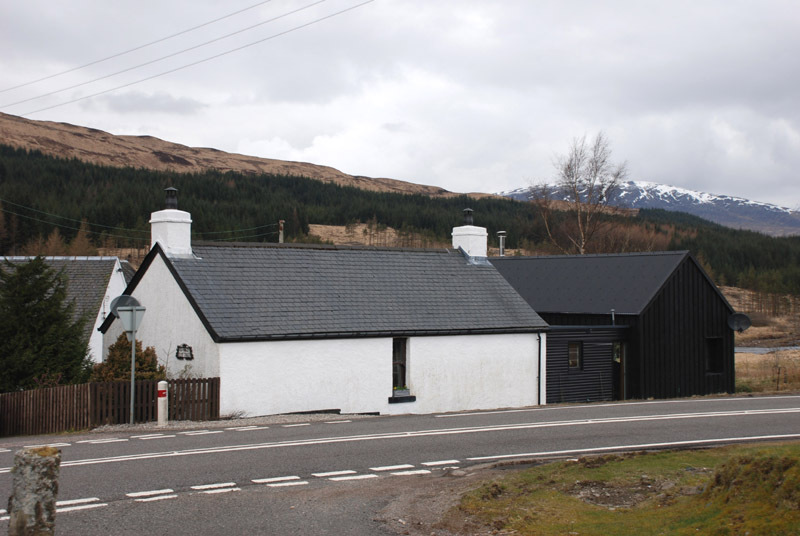 The main extension is roofed in corrugated black steel, with the connecting flat roof being in alwitra – both in keeping with the original shed. The west gable of the extension is wrapped in a dry stonewall, which continues into the garden.